An explosion of art and colour! The Eclat Rug by Serge Lesage features a contemporary design with a sophisticated psychedelic pattern. 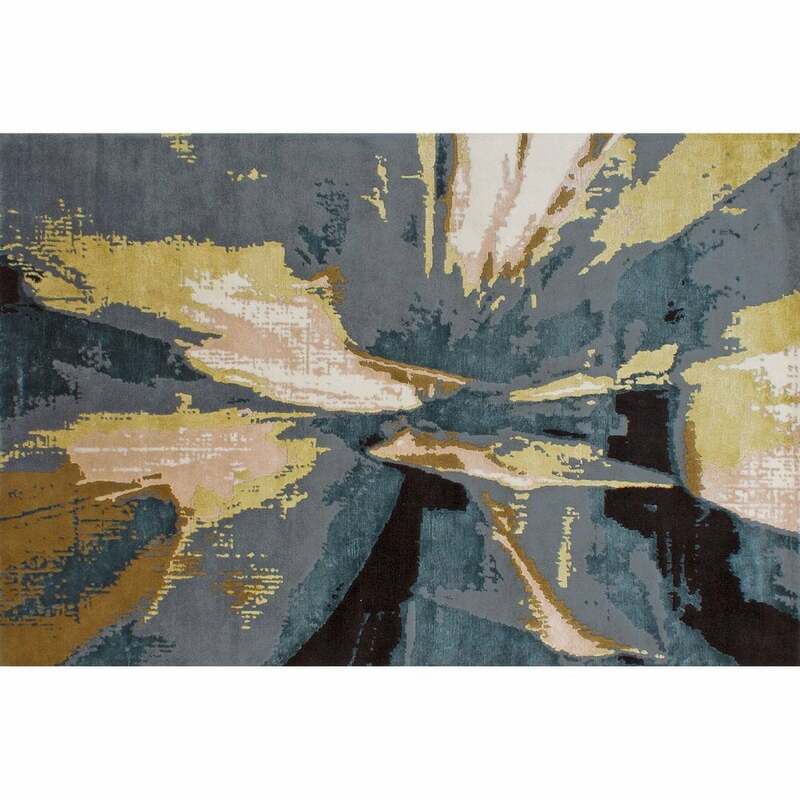 The soft threads explode across the elegant rug creating a firework like display of colour. The melodic tones of ochre and deep blue blend harmoniously with the rich black accents. These dark colours are lifted with a delicate pink shade throughout. A versatile piece for any design lover, the Eclat Rug will bring a touch of luxury to any living space. Hand-knotted by skilled artisans, this stylish rug is crafted using the finest New Zealand wool and viscose blend. Available in both standard and bespoke sizes. Make an enquiry for more information.